The Panamanian government issued a decree on Tuesday ordering the Panama Maritime Authority (AMP) to expel from the registry vessels designated by local intelligence services as being related to “terrorist groups and violent extremists that are considered to undermine stability, international peace and security “. The order currently affects 62 Iranian ships, mostly engaged in the transportation of fuel, and has been very well received by the United States, the great defender of Panama in the region. Sources from the Panamanian Ministry of Foreign Affairs explained to Efe that the decree is part of the efforts undertaken in recent years by Panama to fight against money laundering and financing of terrorism. 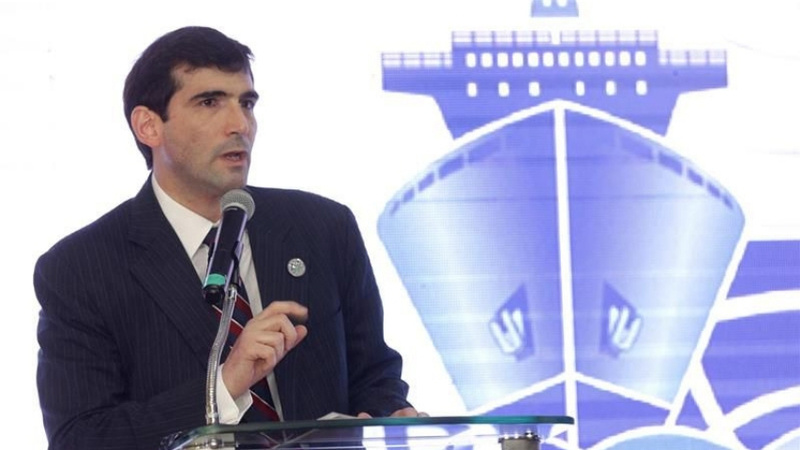 The president of the Panamanian Association of Maritime Law (APADEMAR), Francisco Linares, told Efe that it is an “unprecedented” decree, which “strengthens” the image of the Panamanian merchant marine abroad. “Panama is sending the message that it is a responsible country and complying with international rules, our flag provides a global service and, as such, we must ensure global security,” said the lawyer. The merchant marine of Panama accounted for 18% of the world fleet in 2016 and registered a total of 8,094 vessels and 226.6 million tons. Panama is followed by Liberia and the Marshall Islands, according to the AMP. The registry, which was born in 1925 and has been leading the market since the 1990s, reports direct or indirect revenues of between 125 and 150 million dollars a year to public coffers. The decree was published in the Official Gazette just when the Panamanian Vice President and Foreign Minister, Isabel de Saint Malo, was meeting in Washington with the Secretary of State of the United States, Mike Pompeo. “Secretary Pompeo applauds the presidential decree issued by the president (of Panama, Juan Carlos) Varela, it is an important step in helping to prevent terrorist groups and the states that sponsor terrorism that threatens global trade and stability,” he said. After the meeting the Deputy Spokesman of the Department of State, Robert Palladino. The local press maintains that it was the United States that specifically requested Panama to expel the Iranian ships from the registry and that, if it did not, it could include it in a black list of the US Treasury. The order, according to the media, seeks to comply with the measures applied on November 5 by the Office of Control of Foreign Assets (OFAC) against 700 people, entities, aircraft and ships of Iran, as part of the new aggressive escalation of States United against the Persian nation.